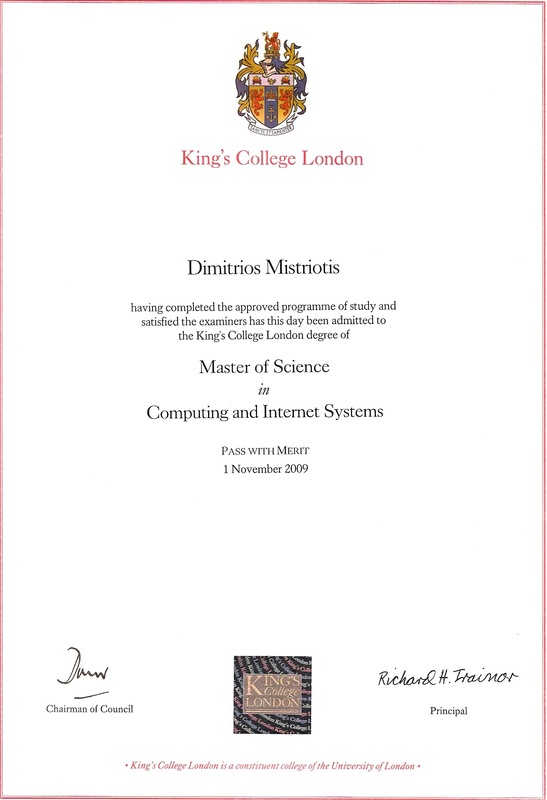 Dimitrios Mistriotis - Personal Site. King's College Lion's Den announcement (2009) and screenshot of site. BSc Thesis (hosted) and local copy (2003). MSc Thesis (`local copy) (2009). Socrates Kollios from Rails introductory course (local). Course certificate from Data Science at General Assembly. Programming puzzles for those interested in fizbuzz related exercises. These are some small-scale projects related to the field currently originating from MOOC courses, and learning projects. Current position (check CV). My day job invloves analysing and extracting information from big data sets mainly within the advertising industry. Data Science at General Assembly course, completed end of August 2017 (Certificate). Data Visualization and D3 class. More interesting would be the final project where Stack Overflow's 2015 annual Developer Survey data are downloaded, cleaned up, ranked and analysed in order to answer a simple question: Do some countries have a development stack preference than others? Scrapping of Goodreads.com categories. Was interested to see which categories of books are more published than others. Mashup from URL retrieval from Goodreads.com up to creation of graph either with Google's Spreadsheet or with Python's Matplotlib. Visualisation Makeover". Assignment for Udacity's "Data visualisation and D3.js"
Learn Python the Hard Way. As part of the pivot, heavily invested in learning Python, some stuff here. The number of Greeks who moved abroad during the crisis. Copied over data from: http://www.newdiaspora.com/the-number-of-greeks-who-moved-abroad-during-the-crisis/ Data exploration and some visualisations. Scala: Functional Programming Principles in Scala by École Polytechnique Fédérale de Lausanne on Coursera. 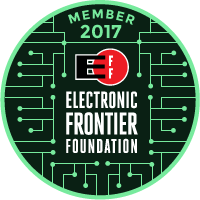 Certificate earned at Wednesday, February 7, 2018 7:03 PM GMT. An insider's look at the mind of a software developer. In an era defined by software, we actually know very little about the people who write all those lines of code that power it. This book aims to change that. Reading Hacks: my reading more HOW-TO (local copy). Guest Blog post (in Greek), worst books read on last three years: and [local copy](/worst_books_read). Red Flags in Interviews (local copy). Comic Strip Inspiration for IT (local copy). A UK oriented CV writing guide (Medium). 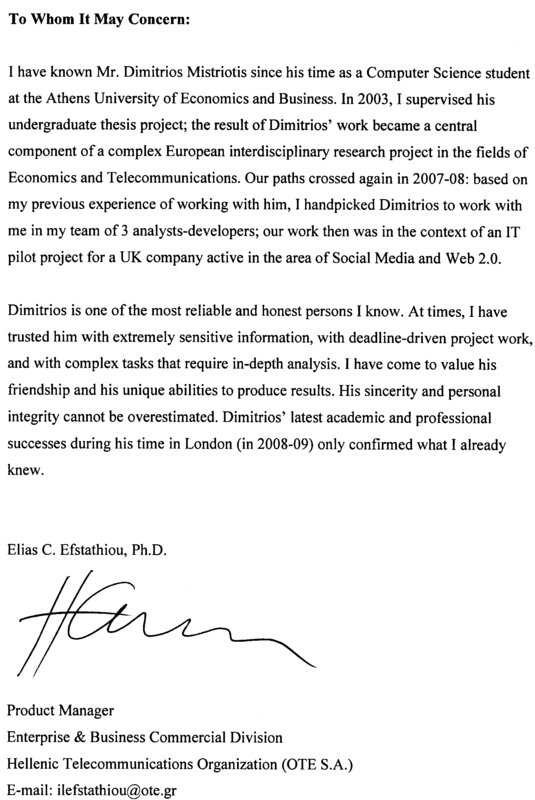 Notes on writing a CV mainly for UK, unfinished, under construction. (Greek) Ας μιλήσουμε για ψευδείς ειδήσεις (local copy). (Greek) Τι δεν θα μου λείψει από αυτούς που γράφουν άρθρα για το τι δεν θα τους λείψει από την Ελλάδα (local copy). (Greek) Η άποψη μου για το τι συμβαίνει στην Ελλάδα τα τελευταία δέκα χρόνια (local copy). Discusing the negative aspects, because we all know the positive. Was initially thinking of a long essay, but decided to split it into smaller pieces. First one is titled "Problematic business relationships" and is about the orientation of UK's IT industry (local copy). Second is the "Kiske field" about hiring and promotions (local copy). 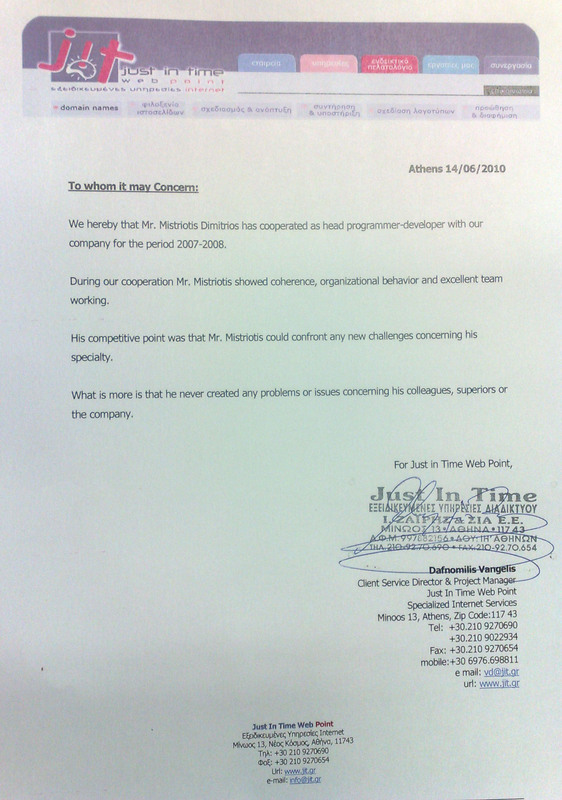 Last one is "culture shocks" about differences in business culture and conclusions (local copy). 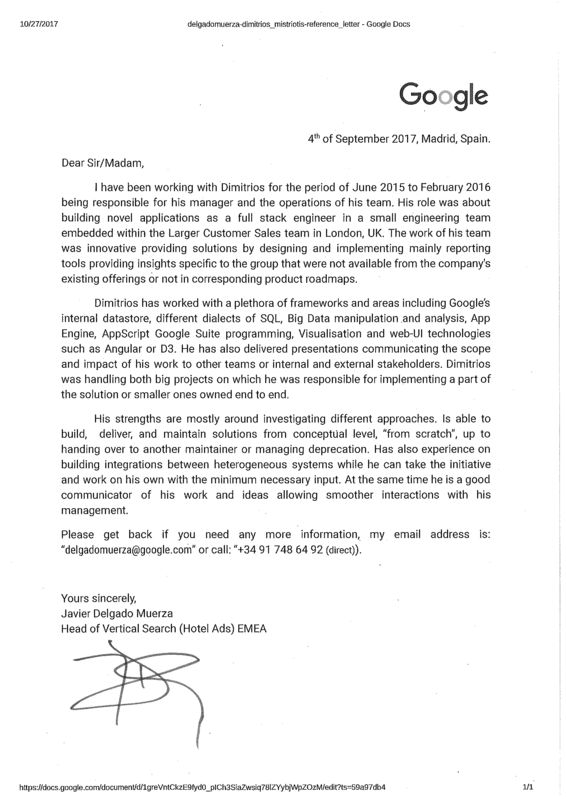 Decided to write again on the subject after some experiences: Why I will never work again for a "London" company. Some more thoughts on the companies that decide out of nowhere to onboard a very big client account: Problematic business relationships part 2, the cult of the one big client (local copy, hacker news link). Reflections on "On the beach": IT personalities, job hopping and staffing - local copy. On London Startups: The good the baand the ugly part 1 — local copy. On London Startups: The good the baand the ugly part 2 — local copy. A series of articles in Greek about startups, mainly IT related. Written in Greek because of limited content available in that language as well as having an emerging small startup scene at the timeof writing. Posting as guest of tnfy blog not only because I liked it and wanted to contribute there, but also because the layout changes, the images and other contributions of the owner elevate copy's quality to the next level. Blog now defunct, outbound links from web archive. Startups 101: Definitions, what's a startup - local copy. Startups 102: Staffing - local copy. Startups 103: Raising capital - local copy. Startups 104: Urban Legends - local copy. Startup reading list: local copy. Startup wrap up: Final post on the series, recap of previous articles, corrections and personal evaluation of the experience; local copy. Deploy Rails (production) on your own server. Substraction and the art of code intenance. It’s Fontastic! : About the awesome fontastic service. A "sivering" moment – Whatever scares you… About the influence of Derek Sivers. The path to SJCP 310-065 exam: Some notes and advice about eparing and taking the exam. The path to SJCP 310-065 exam - Part 2: Follow up on searching sample exam questions from scratch, using Java's labels as an example. How to learn Ruby - Tales in Rubyland part 1: Re-learning Ruby d the surrounding ecosystem. Tales in Rubyland part 2 - "You can write elegant shell scripts and it test them too". Learning Tail Reversal (exercises, pdf). A podcast in Greek about immigration and living abroad, more specific to United Kingdom. Courseira - Ecole polytechnique fédérale de Lausanne, Functional Programming Principles in Scala (local copy). Java Standard Edition 6 Programmer, 14h February 2011. Transcript: JavaSE6-ProgrammerCertifiedProfessionalExamScoreReport.pdf. Oracle Certified Java Associate, 17th December 2010 (CX-310-019), which is the easiest, entry level exam for the Java ecosystem. Transcript: JavaSE5-6_Certified_Associate_Exam-Score_Report.pdf, Certification: oracle_java_cert_se5-6.jpg. Microsoft Certified Partner, 13th November 2006: Microsoft Certification 70-315, entitled: "Developing and Implementing Web Applications with Microsoft Visual C# .NET and Microsoft Visual Studio .NET". Transcript: xps, pdf. Preemptive Strike 01, a website for my favourite band, including content and digital marketing activities. CoffeeScript Cheat Sheet on Cheatography. My JS notes, also on Cheatography. The 30 CSS Selectors You Must Memorize Cheat Sheet, also on Cheatography, stolen inspired from The 30 CSS Selectors You Must Memorize by Jeffrey Way, 9 Jun 2011. Thanks to Vinit Kumar for the white-paper jekyll theme.